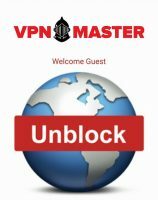 VPNMaster is a VPN service that promises to unblock any content you wish to view and allow you to enjoy a high level of security and privacy, great speeds, and excellent user support. Its Android app has a 4.1 rating on Google Play and has been downloaded nearly 100,000 times so far. Furthermore, numerous users claim that they love the app with all their heart, that the software is fantastically awesome, and that it works like a dream. However, our tests confirmed our suspicions that the majority of positive user reviews were more than likely to be fake and that the negative reviews more accurately described this disappointing VPN application. 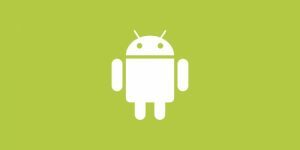 Here is what you should know before you install VPNMaster Android app. According to the description provided by its creators, the app offers 256-bit encryption, uses the safest OpenVPN protocol, allows you to secure your WiFi connection, and gives you access to servers in 13 countries located in North America and Europe. What is particularly important, it is advertised as a free app, with optional premium services. The positive aspects of the app include easy installation, which is not the case with the Windows and Mac versions of the software, and fairly good speeds when connected to the nearest server. We were pleasantly surprised to see that you can in fact switch between servers in 14 countries instead of 13. What we did not like was the fact that the information provided on Google Play was not in line with reality and what is stated on the official VPNMaster websites (yes, there is more than one VPNMaster website). Namely, the websites clearly state that what is offered is 128-bit encryption and that the protocol used is PPTP, which is the least secure protocol. 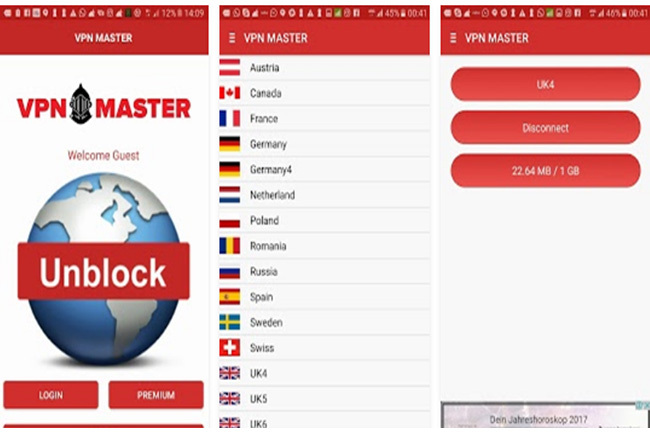 Furthermore, while VPNMaster provides no information about the limitations of the free version of the app, once you install it, you may be unpleasantly surprised by the fact that you only get 1 GB for free, after which you have to pay for a premium account in order to continue using the service. If your online privacy is important to you, it is probably useful to know that VPNMaster does keep some logs and asks you to provide your phone number and physical address when creating a premium account. It should be noted that a large number of users reported experiencing constant disconnections and troubles connecting to servers that seem to be down every now and then. This is something we experienced ourselves while running the tests. Therefore, if you want strong encryption, absolute anonymity, and smooth performance and do not like being lied to, this app may not be the best choice for you.